Marcel founded MBA Photography in 2015. Ever since he is the website administrator and responsible for all administrative work, either on the webpage or on facebook. 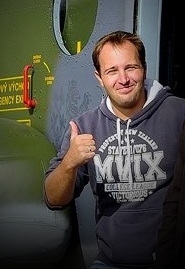 He is a former German Air Force flight advisor (retired by end of 2016), aviation enthusiast and photographer since 1998. Furthermore he is responsible for photo and media reports, as well as the first contact to organize photo missions for the team. Equipment: 2x Nikon D500 in combination with a Nikon AF-S Nikkor, 200-500mm, F5.6 E ED V, a Tamron SP, 70-200mm, F2.8 Di VC USD and a Tamron 24-70mm, F2.8 SP DI VC USD. Tobias joined the team of MBA Photography in September 2017. 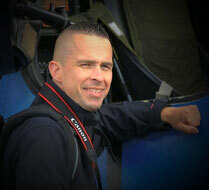 Being an aviation enthusiast and passionated photographer, there was no doubt about to add him to the team. Tobias is responsible for photographical and media assistance. Equipment: One Canon EOS 50D and one Canon EOS 7D Mk II in combination with a Canon EF 24-105 L IS USM, a Canon EF 100-400 L IS USM and a Canon EF-S 10-17 USM. Peter will join the team of MBA Photography as of January 2018. Being an passionated motorsports and aviation enthusiast, he primarily will be responsible for the motorsports section of MBA photography. Equipment: One Canon EOS 7D and one Canon EOS 7D Mk II in combination with a Canon EF 100-400 L IS USM and a Canon 18-135 mm, F3.5 - 5.6 IS STM.